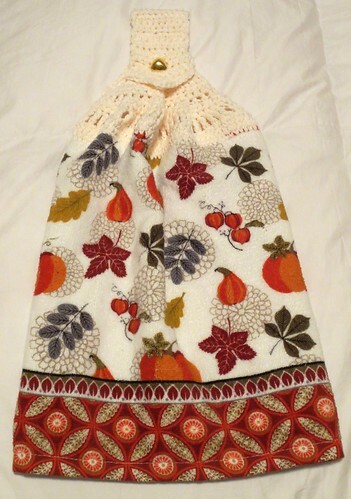 Next is a Fall themed towel that I got on clearance. 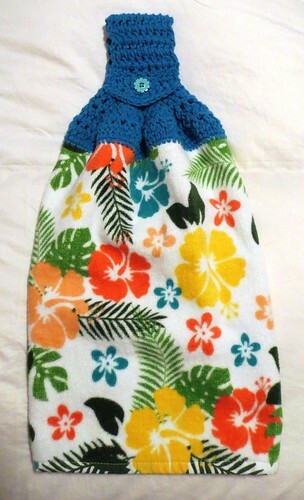 Finally here is a colorful towel that has the waffle pattern towel topper added to the top. 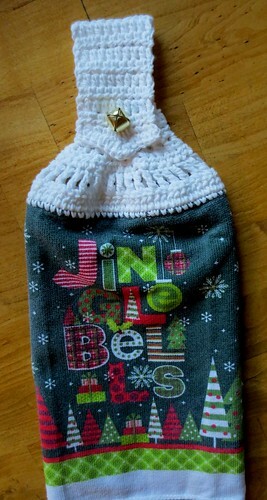 All of these crocheted towel toppers use my no-sew, double layered towel method. 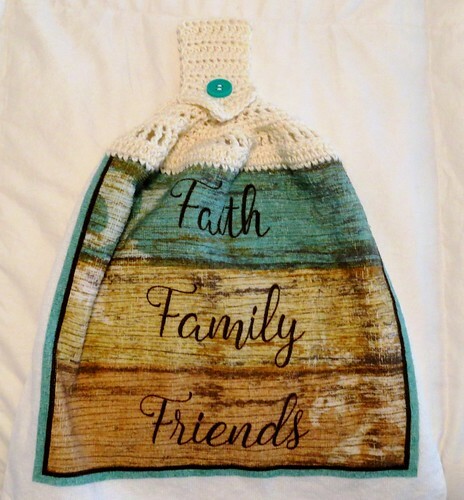 This provides a nice thick kitchen towel plus the great look of a handcrafted item to your project. 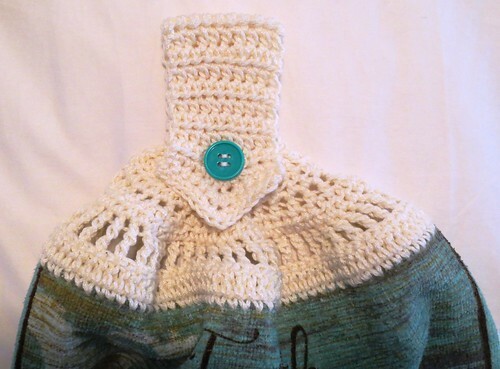 So keep in mind if you want to crochet some towel toppers for charity or buy them for gift-giving, either way you can support your charities and help with their fundraising.